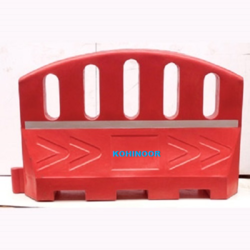 We are a leading Manufacturer of kohinoor water filled barrier ke - 1003, kohinoor traffic road barriers ke-1001, kohinoor heavy base traffic cones ke-32, expandable barrier, road barriers and traffic cone from New Delhi, India. 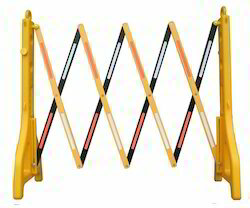 Our firm is supplying best range Traffic Road Barriers. Owing to their matchless features, these are vastly used for traffic controlling purposes. Customers can buy the offered items in customized as well as standard forms according to their necessity. 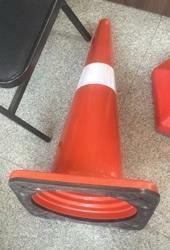 We hold expertise in offering precisely engineered Heavy Base Traffic Cones. These cones are perfect for cordoning. 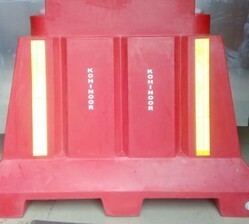 We offer these traffic cones in various sizes to meet the demands of our clients’. Our firm specializes in offering an excellent range of Expandable Barrier. To maintain industry set quality norms, the offered barrier is manufactured using quality tested basic material and ultra-modern technology by our proficient professionals. Used for airports, mines, chemical plants and car racing tracks for traffic security, provided barrier is examined by our quality examiners on distinct parameters. Moreover, our valuable customers can avail this barrier from us at nominal prices. We are regarded as one of the most eminent suppliers of a wide range of Road Barriers in India. The items are effective in avoiding major accidents or any miss happenings. The entire product is examined on different quality grounds to ensure international standards. Owing to this, our items provide supreme resistance to harsh weather conditions and different other impacts. 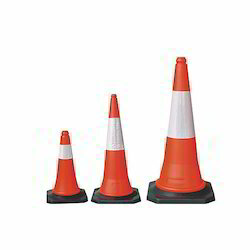 We hold expertise in offering our valuable clients a wide range of Traffic Cones. The offered cones are manufactured using the best quality basic material and progressive technology in adherence with industry norms. Our provided cones are available in varied designs and sizes as per the needs of our clients. 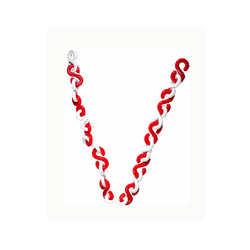 We are manufacturer and exporter of Plastic Chain. With the sincere intentions to preserve and uplift our reputation in the industry, we are offering a broad array of Safety Cones. Our skilled professionals design these cones using supreme quality basic material and advanced technology in sync with industry standards. Used to create merge lanes during road construction projects or automobile accidents, though heavier, these cones are inspected under the guidance of our quality examiners so as to ensure their quality.